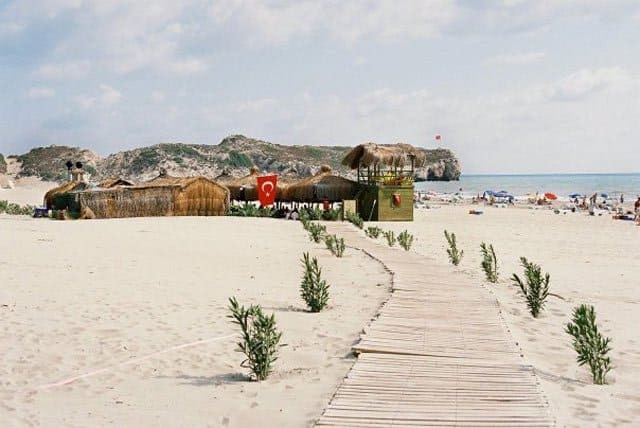 Ancient Patara is often ranked No.1 on the ‘Best Beaches in Turkey’ poll but due to its exceptional 20 kilometres of glorious white sand it remains remarkably uncrowded. 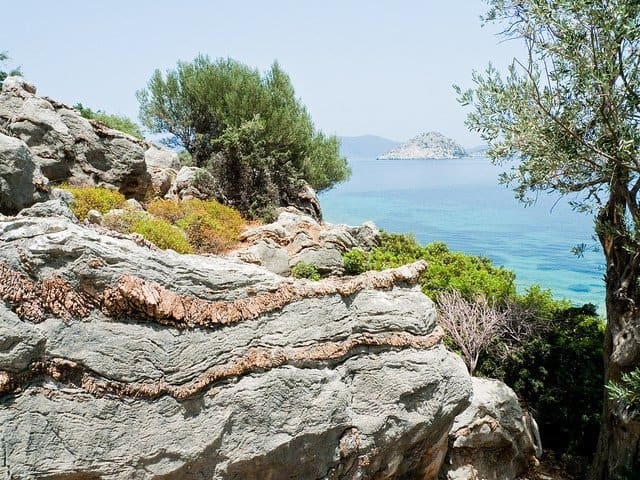 Luckily, for Patara, there is a stipulation in place that limits development due to archaeological reasons as lying behind the beach are stunning ruins dating back to Roman and Byzantium times. These ruins have been Patara’s saving grace as it is unspoilt by raucous bingo halls, English breakfasts and Irish bars. While you are lying on the vast expanse of soft sand, ponder this fact: legend has it that St Nicolas (AKA Santa Claus) was born in Patara and only later, relocated to Lapland. 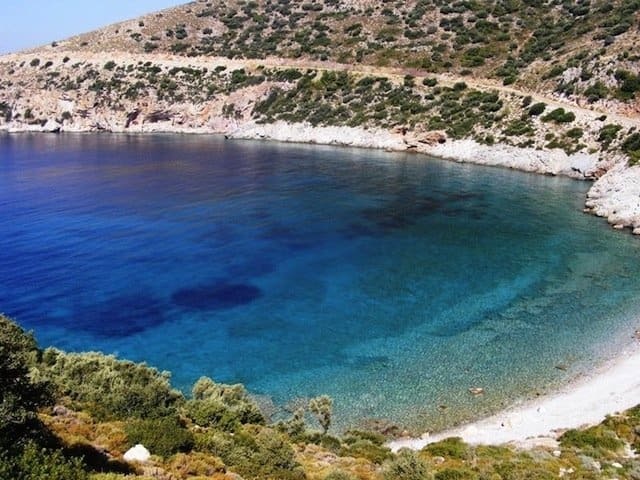 Kaputas is located on the breath-taking road between the popular Kalkan and Kas. Only accessible from the road by a steep flight of steps, the gorge opens out into a spectacular stretch of sand. Make sure you have plenty of water, suncream and a parasol with you as you’re not going to want to leave again in a hurry. This beach is more popular with locals than tourists which, lends a unique and different feel to the area. On windy days, it is popular with adrenaline-seekers hoping to catch a few waves. Amos’s pebbly beach is a bit rough and ready with ancient wooden sun loungers scattered around but its secluded location tucked between two headlands and hidden next to the resorts of Turnuc and Kumlubuk ensure that its unspoilt beauty is a stark contrast to the bright lights of nearby Marmais. Like so many of Turkey’s beaches, it too is scattered with ancient Roman ruins including a small amphitheatre. 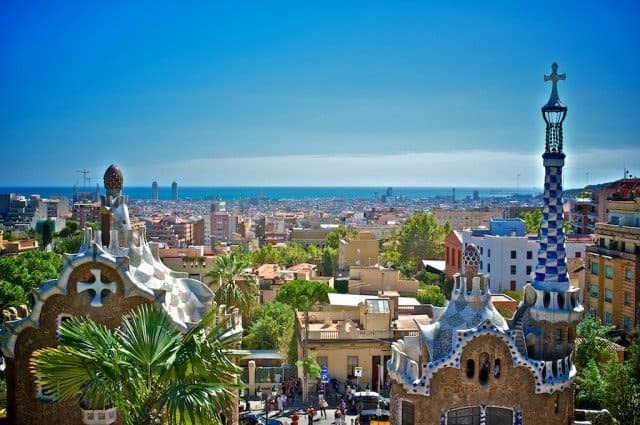 There is a smattering of local, cheap and cheerful restaurants along the coastline, take in the breath-taking views while being served some the area’s most delicious mezze. Ovabuku is tucked away neatly on the stunning Datca peninsula, find holidays here at Holiday Discount Centre. Compared to some of Turkeys other beach offerings, Ovabuku is relatively small but is a perfectly formed stretch of shingle bay backed by a cluster of small restaurants and lush countryside. Butterfly Valley, so-called because of the thousands of butterflies that live in the trees behind, is situated between two towering cliffs. Generally this wide, pristine stretch of beach is accessed by boat from either Olu Deniz or Fethiye and is a treat for any holiday-maker. 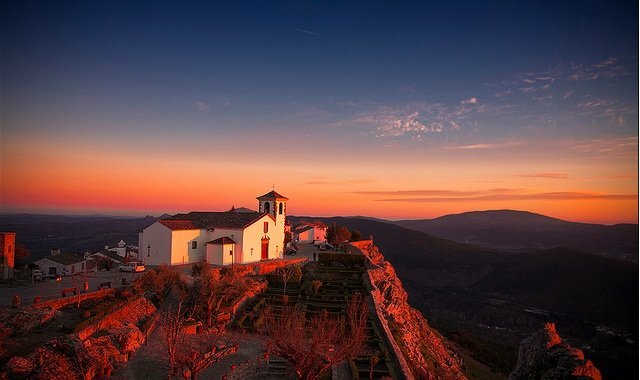 It offers the most stunning views and in summer is a kaleidoscope of colour. A combination of fantastically turquoise sea, blossoms of pink, red, blue and white, all crowned by a brownish-red mountain back drop, with no buildings or asphalt to destroy the image, ensures Butterfly Valley remains one of Turkey’s most photogenic beach locations. For thrill-seekers or those without sea legs the beach can be accessed by a steep, rocky path and while camping is allowed there are no facilities on the beach at all. It’s hard to imagine that only a short distance from the over populated Olu Deniz, is a stretch of beach as stunning as Gemiler. This relatively unknown gem is rarely crowded and again, is usually accessed by boat but can be reached by road from Hisaronu. On the off chance you tire of sandy dunes and the gentle lapping of the turquoise water, take a stroll through the pine and olive groves that surround the beach or enjoy the awe-inspiring views out onto St. Nicholas island. Cirali has avoided the level of the development that was seen by nearby Olympos beach (of treehouse accommodation fame) and has dodged the backpacker trail. This is mostly owing to the fact that the three kilometre of beach is a protected area and home to hundreds of loggerhead turtles. 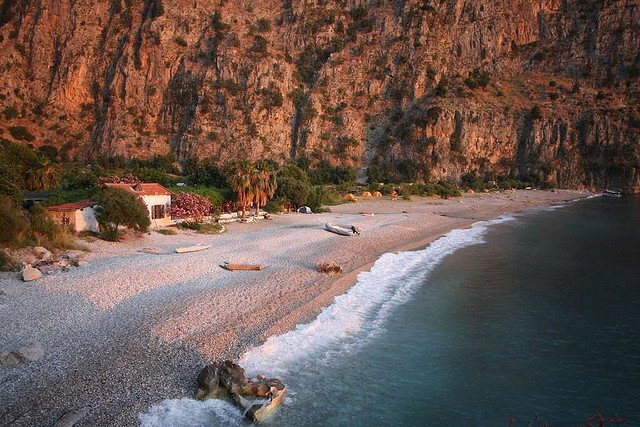 Compared to Olympos, Cirali emits a more hippyish vibe and is more dramatically beautiful as it’s littered with remnants of past civilisations, Mediterranean scrub and the mountains that flank it on each side glow at night with the natural flames of Chimaera. Hisaronu Bay is nothing like its neon–lit, overcrowded and nightmarish counterparts, it consists of two small beaches that overlook the Datca peninsula and remains in a time warp. 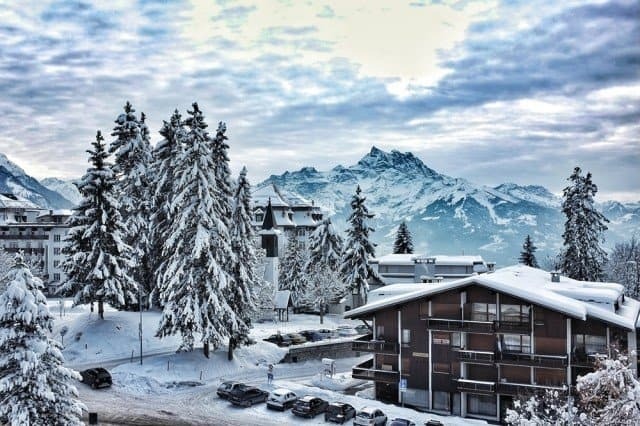 It has avoided being swept up by the development boom and is more reminiscent of Turkey twenty years ago, consisting of just a simple clutch of restaurants, pleasant but basic accommodation and quiet, meandering country lanes. Ortakent is not a secret beach but it is a delightful one and therefore worthy of a mention. It lies mid-way along the Bodrum peninsula, backed by supreme market gardens and the amiable, quiet bustle of a local rural village. Tucked away from the madness, Ortakent is extremely family friendly and a fantastic selection of watersports are offered beachside. 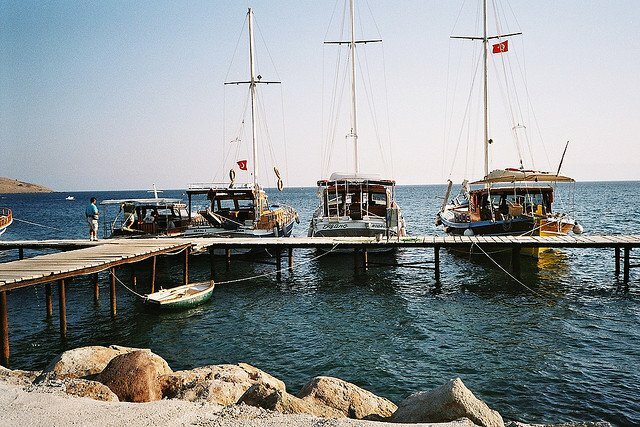 Aydincik is located on the south coast of Gokceada, one of Turkey’s two inhabited Aegean islands which, seldom sees tourists. This mountainous island is ringed by stunning still waters that resemble sheets of green silk. The area is dishevelled but friendly and the secluded cafes and restaurants exude the glorious feeling of being very far away from it all. The beach itself is a stretch of unspoilt, perfect sand and is popular with wind-surfers. There is equipment available for hire and a salt lake as well for the less adventurous, or indeed if the sea gets too choppy. There are daily ferry crossings from the Gallipoli peninsula near the ANZAC landing site and the ruins of Troy. KAPUTAŞ The canyon mouth beach on the coastal road between Kas and Kalkan. It is generally cool and turquoise color of the water that flows underground and the water that flows through the sand along the sea coast is generally cool. I’ve just got back from Turkey and it is such a beautiful country. 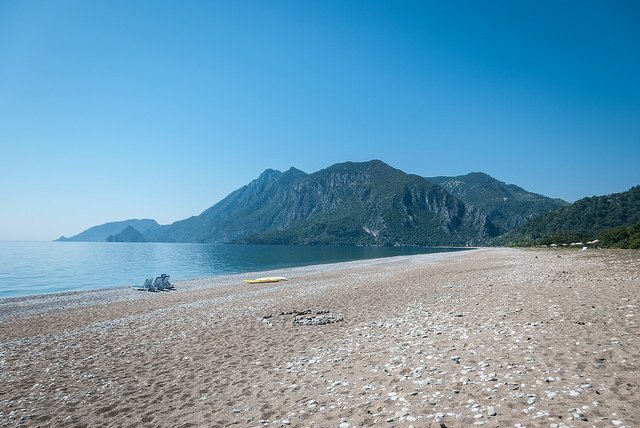 We went to Itzuzu beach which is accessable by boat from Dalyan and it was gorgeous. Although it is rather geared up for tourists we headed down to the far end where the turtle sanctuary is based and whilst swimming in the sea ended up snorkelling alongside a wild caretta caretta turtle. Absolutely amazing. 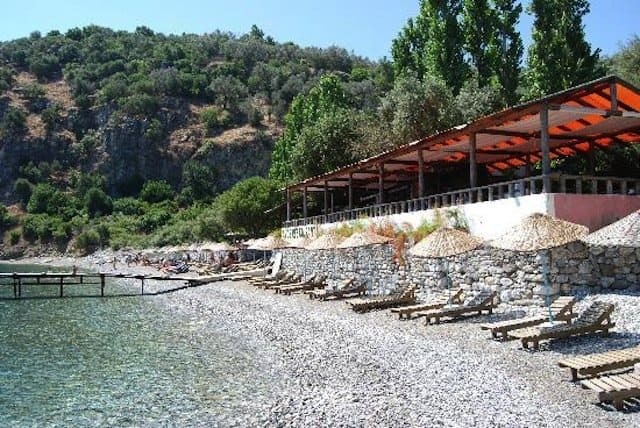 Love Turkey and love this post – for my next stop I want to head to Butterfly Valley! Turkey is a beautiful place to live, nice choice of beaches. Turkey is a fascinating travel destination where people can watch and enjoy lots of beaches. These are some awesome beaches located in Turkey where people can get lots of enjoyment. These all look amazing!! what a beautiful undiscovered, underestimated land! I would love to see more of Turkey. My first thoughts were that Its not a place I wanted to explore but after spending a week there, I realized it just was not enough! There is so much more to be seen and discovered… and eaten!! !